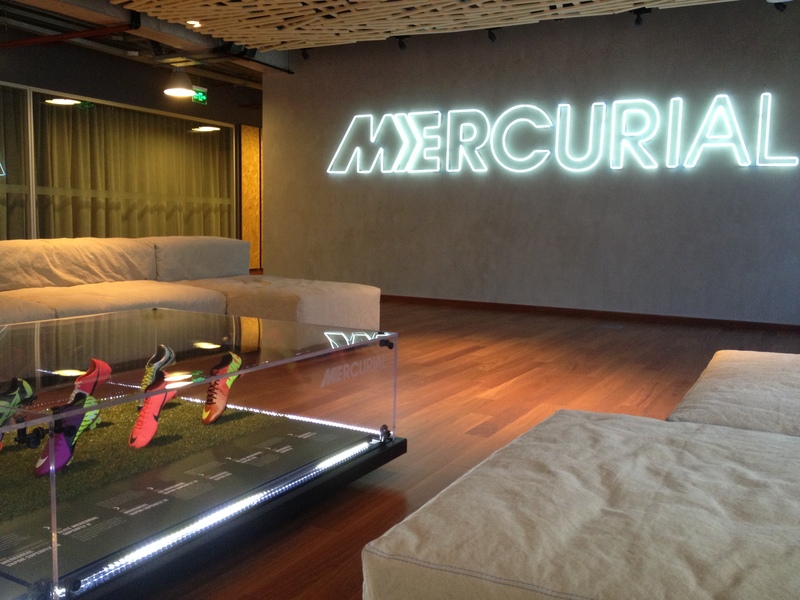 The Mercurial boot was designed around Ronaldo, Brazil’s rising star, to maximize his speed. The boot debuted at the ’98 World Cup, introducing groundbreaking innovations such as the use of synthetic kangaroo leather in bright colors, the use of a thinner, lighter sole plate, and the application of a slightly sticky coating to improve ball control. 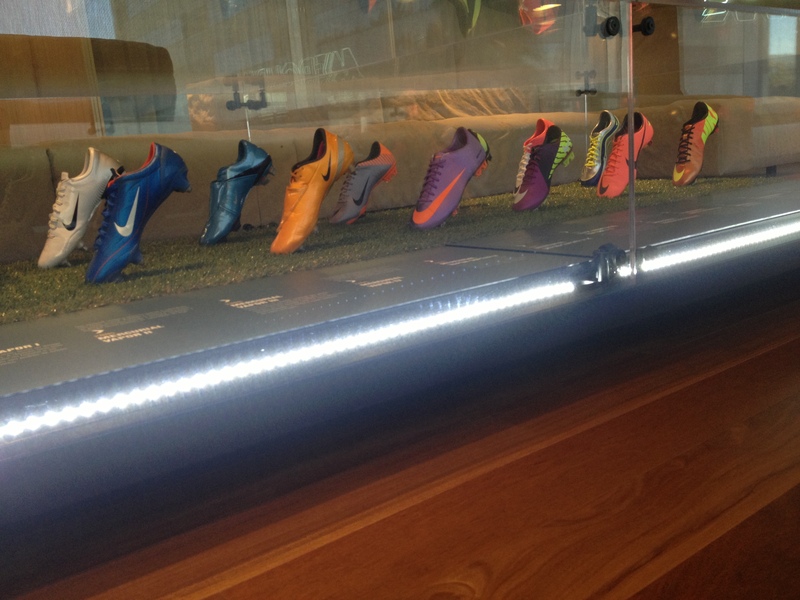 The result was a boot that met the demands of the world’s best players. 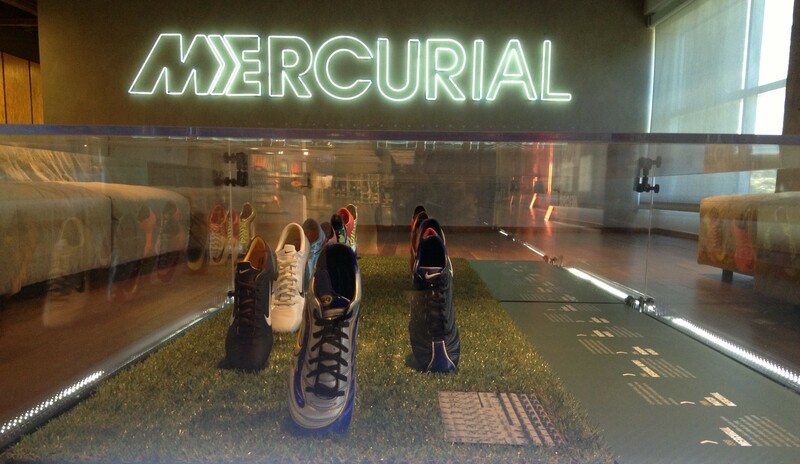 Since 1998, subsequent versions of the Mercurial have continued to improve the performance features of the boot. This is captured in a glass-enclosed display that doubles as the centerpiece of the reception area. Project Completed in 2013. Client: Emerging Markets Brand Design. Nike, Inc.